So, here we are, roughly 24 hours before the supposed Rapture. I suspect we will all still be here at 6:01 p.m. tomorrow, May 21st. I believe the probability of the Zombie Apocalypse is higher than the Rapture (and for that reason I read the CDC’s publication on how to prepare for said apocalypse rather carefully). But all this talk of the Rapture has reminded me of William Miller, an early proponent of “The End is Near” who ignited one of the largest Adventist movements in American History. The Rapture, according to Miller, was actually supposed to take place on October 22, 1844. It has, apparently, been rather delayed. William Miller was born in Pittsfield, Massachusetts in 1782. He was raised in upstate New York and eventually settled in Vermont. He fought in the War of 1812 along Lake Champlain. After the war, he became a prosperous farmer and grew more and more interested in religion. He eventually calculated, based on clues in scripture, the date of the Second Coming. As early as 1818, he postulated that the Big Date would take place in 1843 or 1844. It wasn’t until the early 1830’s, however, that he began actively publicizing his beliefs. Once he went public, followers flocked to him. People across the country read his articles. By the early 1840s, there were Millerite newpapers, churches and roughly 100,000 followers throughout the United States who fully expected Judgement Day to take place in a matter of a few short years. 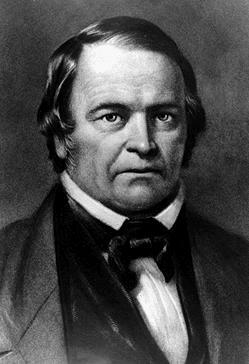 Pressed to come up with an exact day, Miller projected The Date to take place on March 21, 1844. When that day came and went, he decided his calculations had been wrong and projected The Date to take place on April 18, 1844. When that day came and went, he re-calculated and decided that October 22, 1844 was the Big Day. His followers settled their financial affairs, sold off their worldly possessions, and made all manner of preparations. There are even accounts (possibly apocryphal) of Millerites gathering on rooftops, dressed in white, on the morning of October 22. Waiting. When the Rapture failed to occur, the Millerites were devastated. Most went back to their more traditional religions. The aftermath was referred to as the “Great Disappointment.” I find it difficult to imagine what it would be like to be one of these 100,000 after the Big Day. How do you go back to a normal life? How do you put the pieces back together after selling off all your belongings and preparing for the End of Days? Sad, I suppose, to experience disappointment like that. But, fact is, tomorrow we’ll all still be here in the “cold world.” And I tend to think the cold world ain’t so bad. Maybe tomorrow is good opportunity to take stock of the good things we have in this earthly world…family, friends.